Soccer Star Lionel Messi And His Father Accused Of Tax Fraud : The Two-Way The best soccer player in the world today has been accused in Spain, where he plays for Barcelona FC. A prosecutor says false tax returns were filed. So far there's no comment from Messi or his father. Lionel Messi, the Argentine superstar who is generally thought of as the best soccer player in the world these days, has been accused of tax fraud by Spanish authorities. Reuters reports that Messi and his father are suspected of filing false returns. Deadspin says that, "according to a spokesperson for the prosecutor's office, Messi and his father Jorge defrauded the state of more than $5.3 million from 2006-2009." 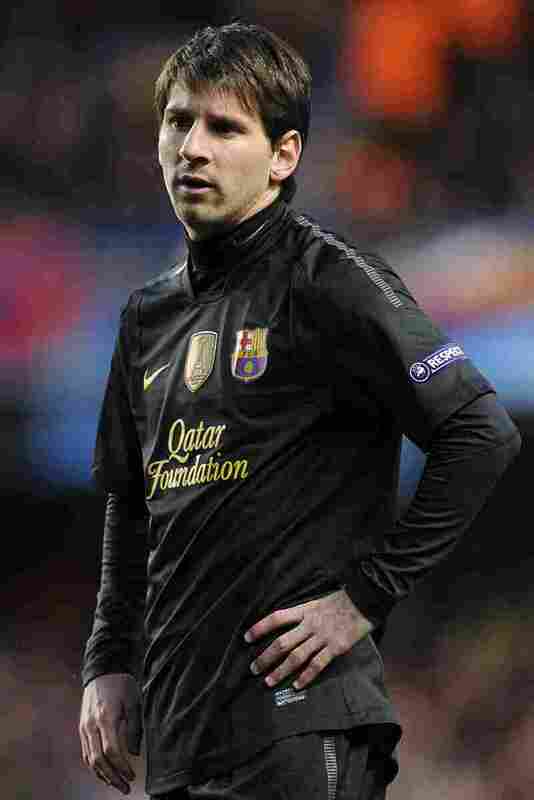 Messi plays for Barcelona FC, one of the most powerful professional teams in the world. According to Deadspin, "exact figures are hard to come by, but reports had Messi's 2009 Barcelona contract paying him $14 million a year, and a 2012 raise paying him $16 million annually." The Associated Press adds that the charge was "lodged by a state prosecutor for the northeastern region of Catalonia on Wednesday. ... Barcelona [FC] declined to comment on the lawsuit. Messi is enjoying a day off after playing for his national team in Quito, where Argentina was held to 1-1 by Ecuador in a qualifying match for the World Cup."